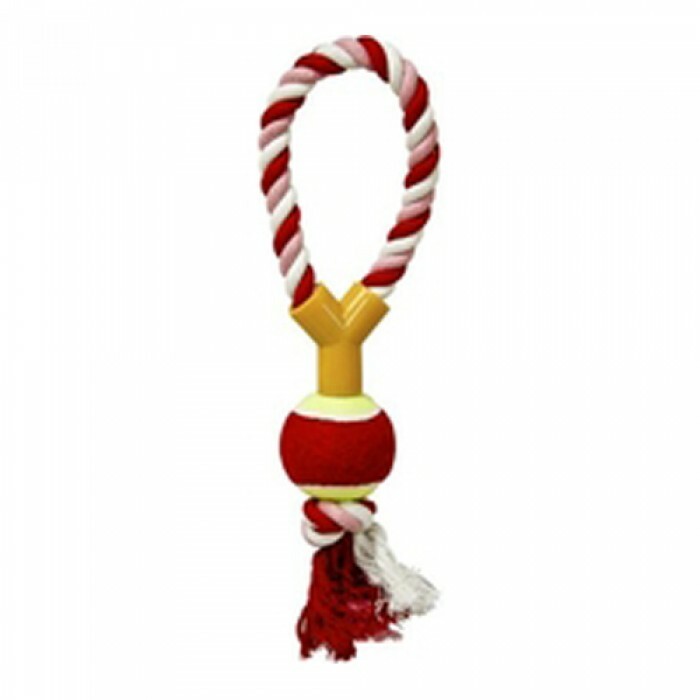 Product Details - Life stage - All age, Material - Tennis ball and cotton rope, Suitable - Large Breeds , Use - Interactive toy, Maintains oral hygiene of dog. Product Information - The Presentation Tennis Ball Tug Toy in large size for your dog is the perfect interactive toy for you as owners to play with your pet. This is a fun rope and ball toy, just give the ball end to your pet and pulls with the help of the loop rope, this is extremely comfortable on your hand. The ball helps to massage the gums of your pet maintaining and promoting oral hygiene in your dog.The tennis ball is durable and is attached from all sides with a twisted rope. If you want your pet can play with this toy by himself as well. This is a perfect toy for all your large breed dogs. The outer cover is made of polyster, which is perfectly safe for all your pets and does not contain any toxins. This toy will give your dog mental stimulation and maintain oral hygiene of your dog.